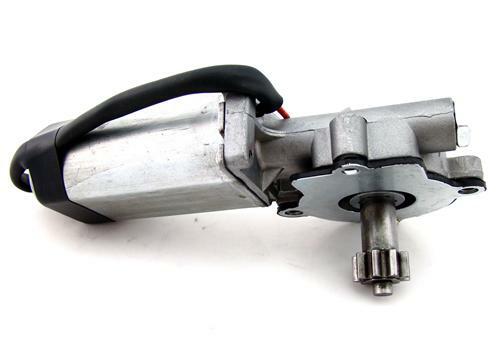 1983-1993 Mustang quarter window motors will restore the power window function to your quarter windows! Do the Convertible Quarter windows on your 83-93 Mustang move slowly or not at all? 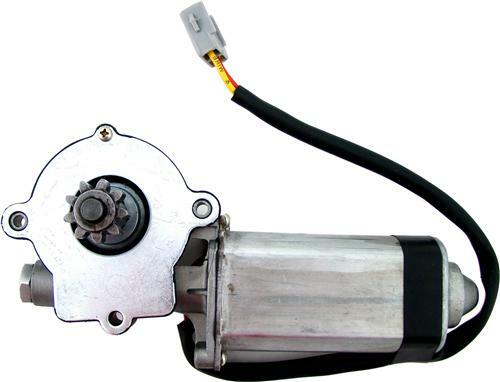 If so, then its time to replace those old, worn out power window motors! These 5.0 Resto motors are brand spanking new and direct replacements. 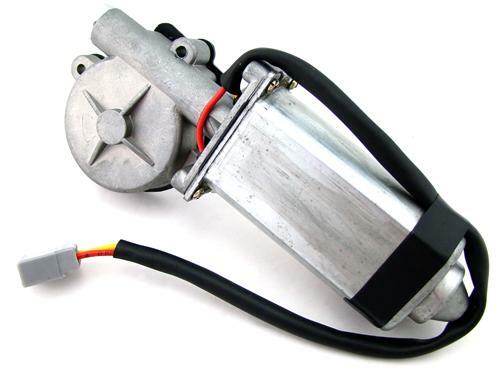 Over time Mustangs tend to wear out their window motors requiring a replacement. Our direct fit units carry a 1 year warranty and will put your window back on track! No core required! - Must Re-use Original Hardware that Bolts motor to regulator. 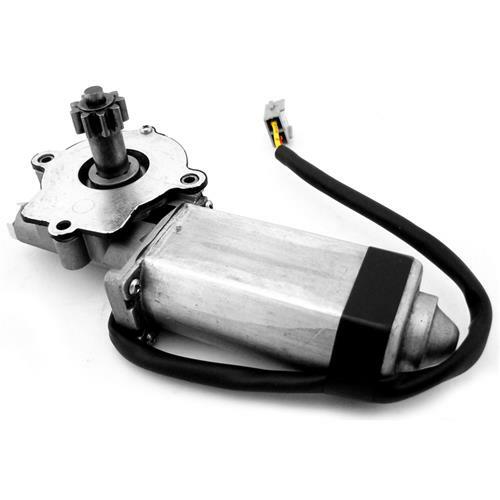 - Window motor bolt holes DO NOT come threaded as the factory hardware will cut their own threads into housing for proper motor installation. 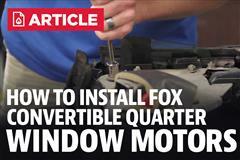 Watch as we show you how to replace all the components that could be making your Fox Body Mustang Convertible Quarter Window slow, stuck, or moving up or down crooked. This install will take up some time, it will drastically improve the performance of your quarter windows and stop it from happening again in the future. Replace all the components for your quarter window with our 50Resto Quarter Window Resto Kit. This kit includes two window motors, four guide rod bushings, and two billet aluminum guide rod mounts. Considering factory mounts are plastic, our exclusive 50resto Billet Aluminum Guide Rod Mounts will give you years of worry free maintenance.